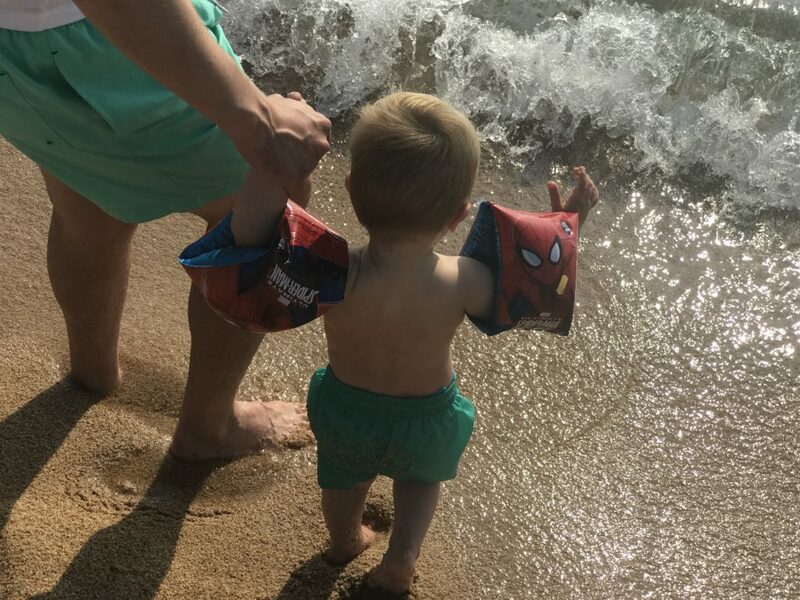 We recently returned from a week in sunny Lloret de Mar in northern Spain. 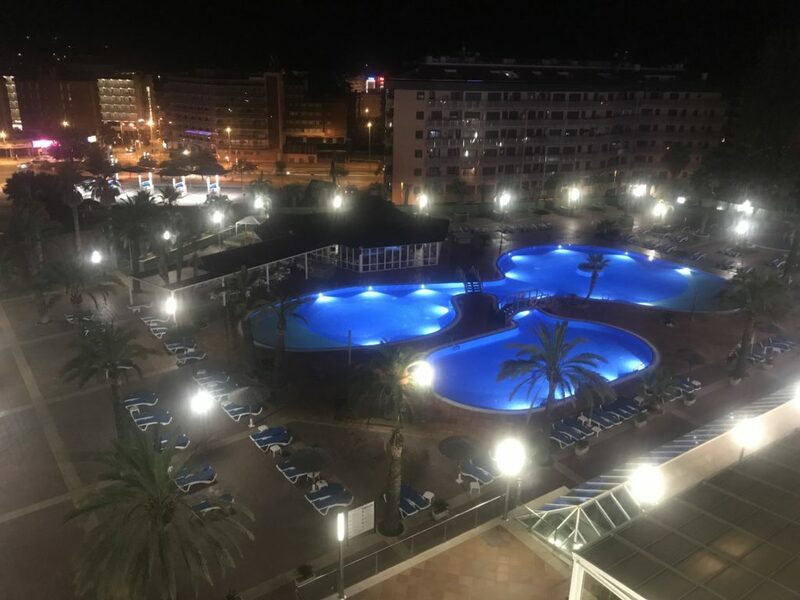 Lots of my friends and colleagues told me they’d been to Lloret in their younger years but hadn’t heard of it for yonks, we were a bit unsure what to expect but we loved it. It was October half term and I expected the weather to be quite cool, however it was mid twenties most days with a quietness around the town that you’d probably not find during the summer months. 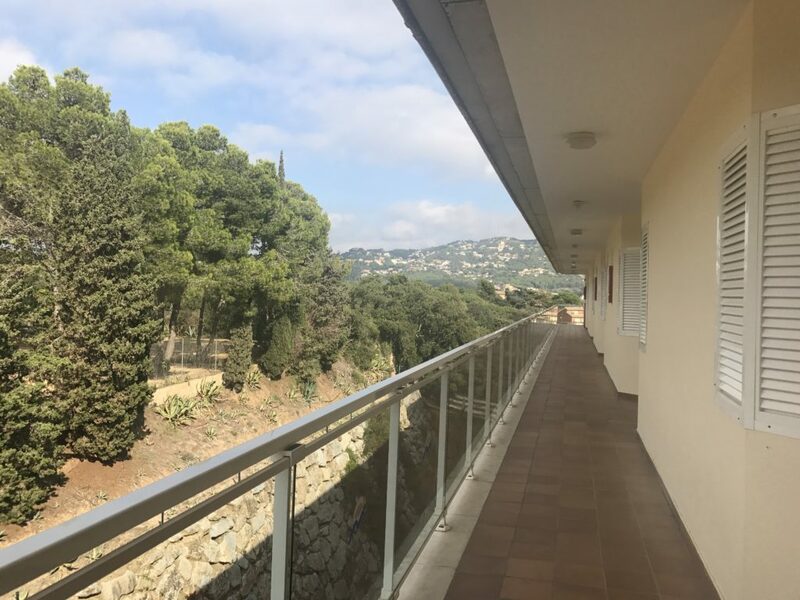 We booked our flight with EasyJet using a discount code and got a pretty good deal, paying less than £100 each for our flights. 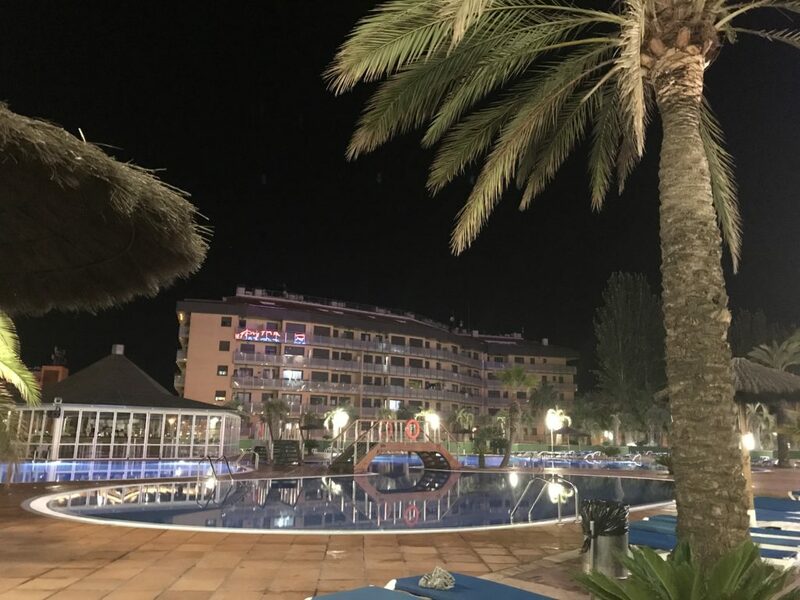 We chose our hotel by going on Booking.com and searching for hotels that had a separate loving and sleeping area and had an indoor pool located near(ish) to Barcelona El-Prat airport. 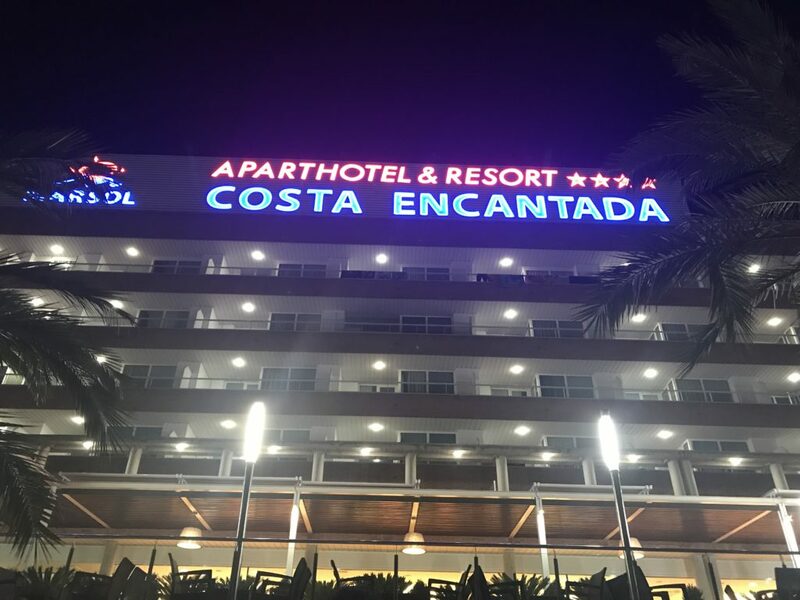 The search left me with one hotel: Costa Encantada. 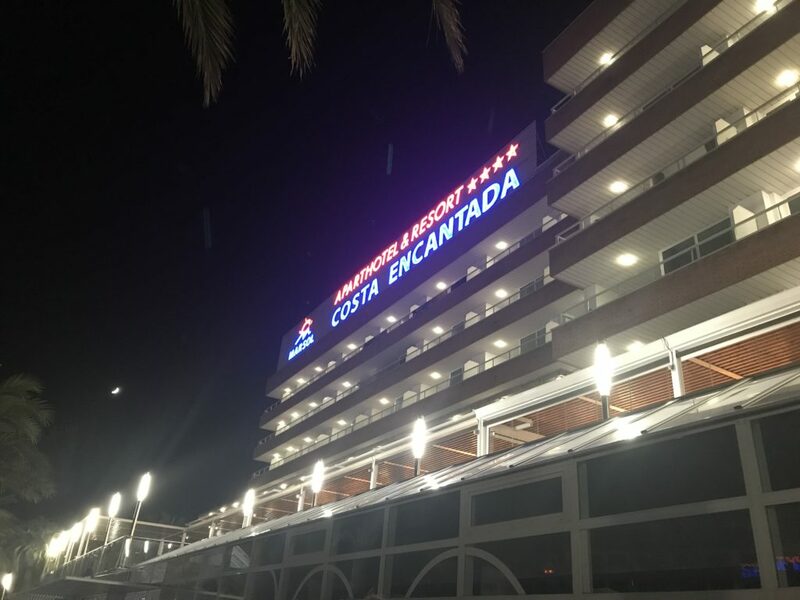 We arrived at the Costa Encantada at 1am after a particularly long and gruelling transfer from El-Prat. 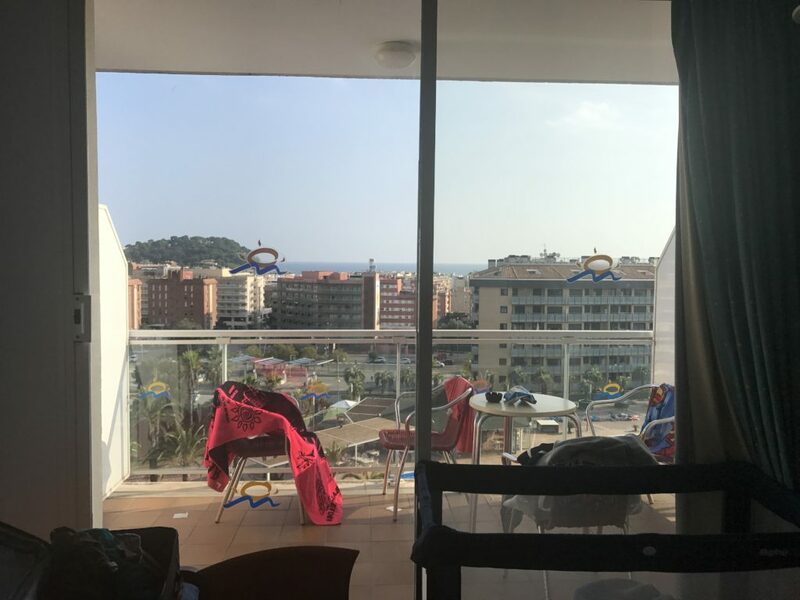 (Tip: If you want to stay in Lloret, you are best off flying into Girona.) We were greeted on arrival at reception by a lovely young man who explained what taxes we owed (but refused to take the money there and then as we’d had a long journey) and what times we could eat in the restaurant. He then asked the security guard to help us carry our bags up to the room on the fifth floor. Luckily there was a lift (helpful when you have two suitcases and a toddler fast asleep in a pram) and the security guard was lovely and kind. 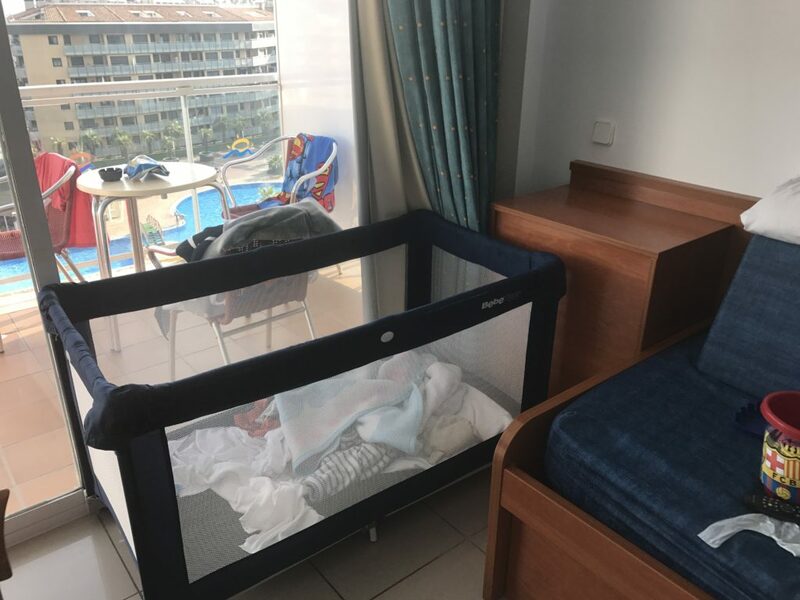 The travel cot was already set up in our bedroom when we arrived and we moved it into the lounge for Dex to sleep in. We didn’t have much chance to take in our surroundings as we were so tired and the three of us collapsed into our own individual beds. Unfortunately, I was unable to sleep despite being extremely fatigued, because after an hour, I could not stop itching my skin. It got so bad at one point that my face started developing bumps across the cheek that had been on the pillow. After covering my body completely with clothing, swapping my pillow for one in the lounge and getting a blanket to use as a duvet out of the wardrobe, I was finally able to get some sleep. The next day we were able to fully appreciate what a nice room we had. The lounge came equipped with a stove, a microwave, kettle, pots, pans, cups, plates and a small bin. There was a dining table and chairs, two sofa beds and a television showing Spanish, Catalan and British TV shows. The lounge led to a large balcony with a table and chairs overlooking the huge pool and the sea on the horizon. Our bedroom housed a large wardrobe and two twin beds which had been pushed together. The bathroom had a shower over a bath, a sink, toilet and bidet. We really couldn’t have asked for more. During the first two days we were in the room while the cleaning staff came round due to Dexter needing a nap, but by the third day, we decided to leave the room so it could have a good clean. When I stay in a hotel, I expect bins to be emptied and beds to be remade as a minimum. Unfortunately, during our stay, the beds were not made once and on the fourth day a note was shoved under the door to inform us we had to empty our own bins. I’m certainly not above emptying a bin, but when you’re on holiday, you kind of expect this sort of thing to be done for you. I found this to be a great shame. My itchy skin got better as the week went on and by the final night I was able to sleep without being covered head to toe in clothing. Dexter and my husband weren’t affected in the slightest so perhaps it was a reaction to their laundry products. In any case, every item from our suitcases was duly washed on a high temperature when we returned, just in case. We chose to go half board meaning we got to eat breakfast and dinner in the restaurant. It was a buffet style set up where you help yourselves to the copious amounts of food on offer. There was plenty of choice including pasta, chips, soup, meat and fish. A chef would cook fish and meat for you to help yourself to and there were other bits to pick from stored in metal grey trays. Breakfast was definitely the best meal of the day with full English and continental options available along with beautifully prepared fresh doughnuts and waffles. Unfortunately the staff in the restaurant had no time for customer service and were simply there to roll their eyes and clear away tables. Only one young waiter took it upon himself to interact with Dex and he was a joy to talk to. The food available for Dex was great and he usually ate bread, a few chips, some veggies and some fish. There were plenty of high chairs available. The only other gripe I had with the restaurant was that it didn’t open for dinner until 7.30pm which is way past Dex’s bedtime. 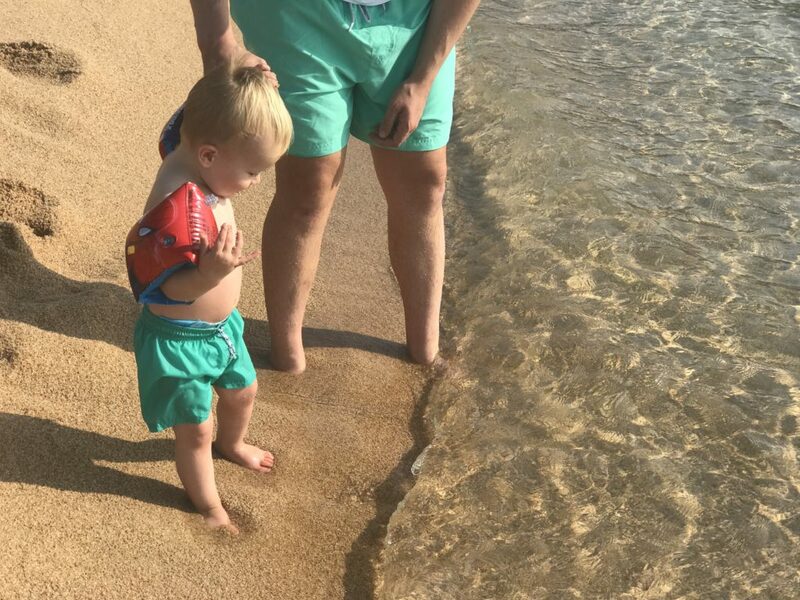 This meant he was usually quite grouchy in the evenings and unwilling to eat much as he just wanted to get back to the room. 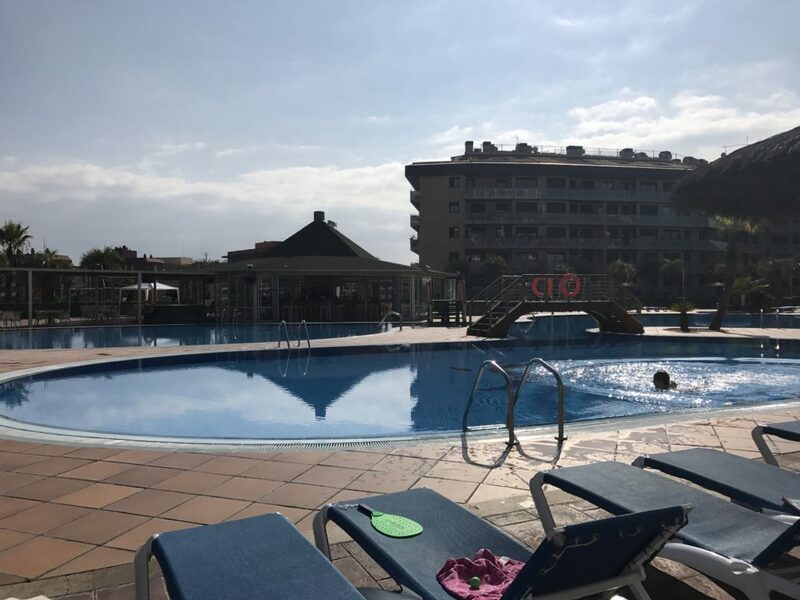 The Costa Encantada is located a little outside of Lloret which makes for a quieter life. Fenals beach is a short ten minute walk away and there are two supermarkets located within a five minute walk. The hotel itself is situated up a hill and it’s quite a walk to get to the entrance. 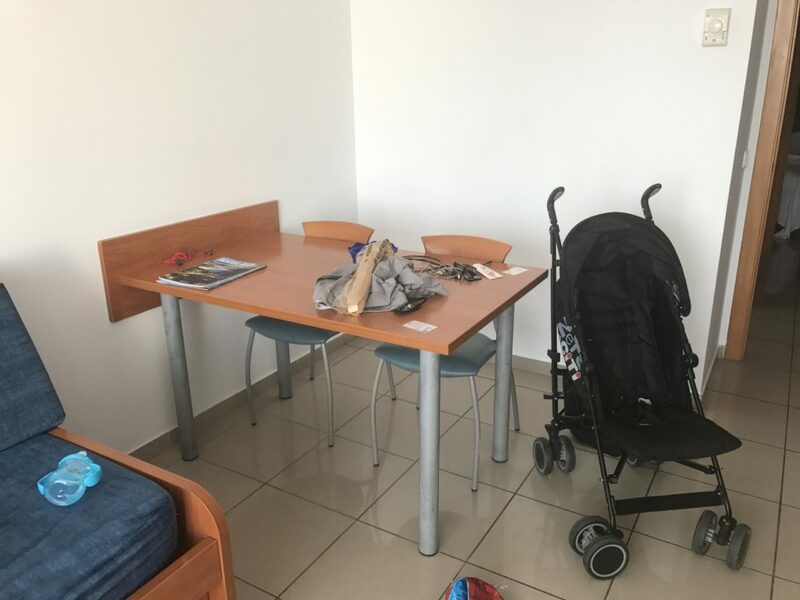 For this reason I wouldn’t recommend this hotel for disabled tourists or those who struggle with a big walk as we both struggled at times, especially pushing the pram. Would we return to the Costa Encantada? Probably not. 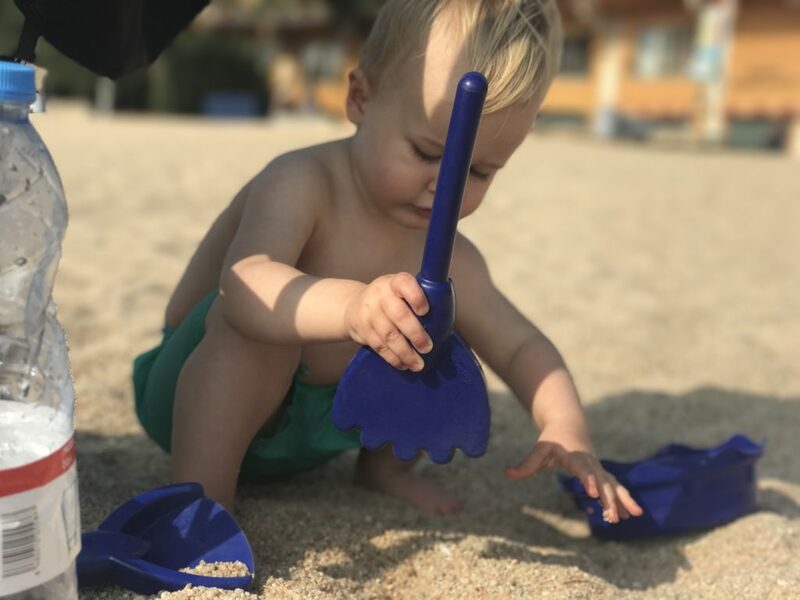 There’s many things I can forgive a hotel, but rude staff and the refusal to empty bins in the rooms are not one of those things, especially when you have a baby who needs frequent nappy changes. I was pretty happy with the food and the spacious balcony where we spent every evening sipping cold cervezas and chatting about anything that crossed our minds. We loved the short walk to Fenals beach and were so pleased with our welcome on the very first night. It is just such a shame that the level of service did not continue. It looks lovely but it’s a shame that they don’t put a little more effort into customer care. I know they’re probably working to strict budgets etc to keep it affordable but I agree, I expect a bin to be emptied when I’m on holiday, I also expect a bed to be made. That’s just part of being on holiday in my eyes!